Currently more and more therapists are working with people with learning difficulties. There is very little literature for therapists to consult and what there is, is very medicalised and individualised. This book will take a broad view of people with a learning disability, but will also focus on the practicalities of the therapist's work. 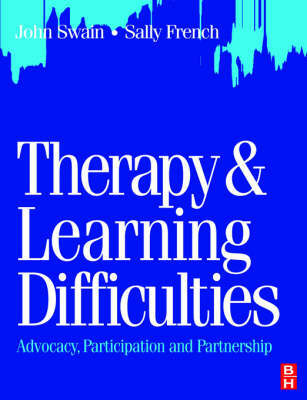 Learning difficulties are put into perspective with social and historical contexts and describes therapy practice detailing issues of communication and working in teams with other health care professionals. This book tackles controversial issues such as sexuality, normalisation and challenging behaviour and is written by well known authors and contributors, all with a wealth of experience. It is well referenced and well researched. Brimming with sound practical advice, this text will be of interest to student and practitioner physiotherapists and occupational therapists.